"We were all amused and disgusted at the sight of a thing that nothing but the debased and depraved Yankee nation could produce. [A woman] was dressed in the full uniform of a Federal surgeon. She was not good looking, and of course had tongue enough for a regiment of men." ?Captain Benedict J. Semmes, describing Mary Walker, M.D. 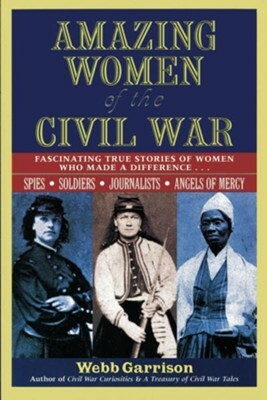 I'm the author/artist and I want to review Amazing Women of the Civil War: Fascinating True Stories of Women Who Made a Difference.